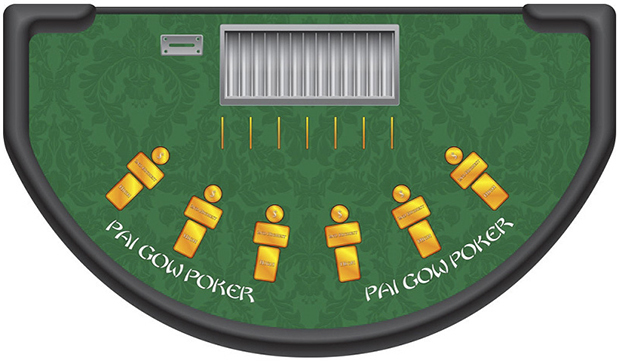 Casino Supply has been manufacturing professional quality Pai Gow Poker layouts / Pai Gow Poker felts for years. 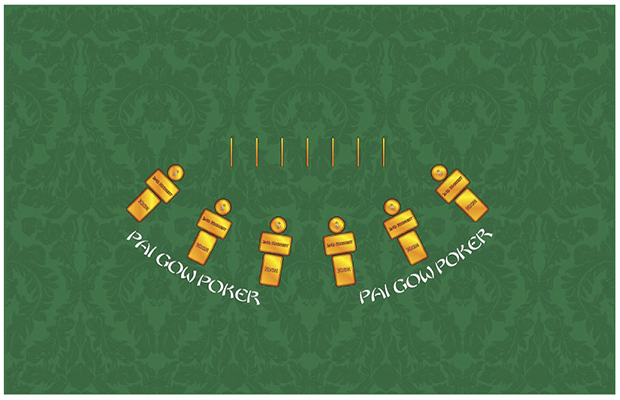 Our stock green Pai Gow Poker layout design features all standard betting areas. The printed "playing area" including all betting spaces measures approximately 22" x 48". We can quickly and affordably print custom Pai Gow Poker layouts to meet any needs.